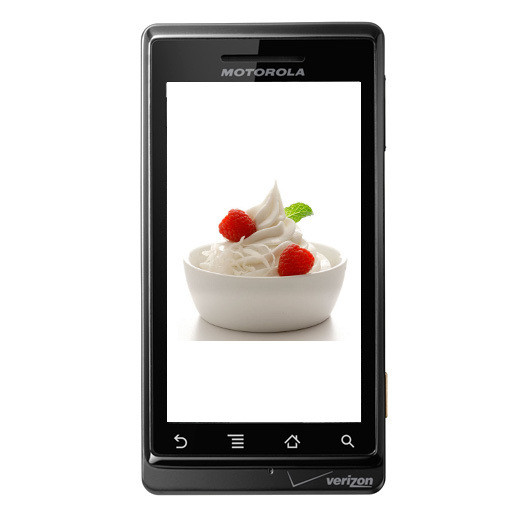 I got an advance look at Google’s latest treat for Android phones, Android 2.2 (more deliciously known as Froyo) on the Nexus One. Announced this morning at Google I/O in San Franisco, the update will initially be available to Motorola Droid and Nexus One owners in June. Android users will definitely be happy with this update, which delivers faster performance, tethering/mobile hotspot and of course, Flash support. JUNE. IS. 11. DAYS. AWAY. Cheers to my Dad who sent this in!